With Christmas just around the corner, it’s time to think about gifts and the Port Macquarie Koala Hospital has the perfect idea, adopt a wild koala for just $60. The Hospital offers adoptions of its current permanent residents (koalas that cannot be released into the wild) as well as some former patients. 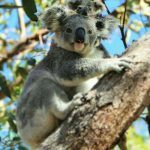 The money raised is used to help fund the operation of the Koala Hospital, the only hospital in the world dedicated to the care of wild koalas. This year the number of adoptions at the Koala Hospital has reached over 1,300 from within Australia and almost 1,000 from overseas. The Port Macquarie Koala Hospital is a popular tourist attraction, scientific research and education centre and a wildlife rehabilitation facility. It is situated in the Macquarie Nature Reserve close to the centre of Port Macquarie and receives over 100,000 visitors a year, a combination of local, national and international tourists. The Koala Hospital is a Not-for-Profit charity and doesn’t get any government funding. It costs around $650,000 to run the hospital every year and all of this funding comes from donations, bequests and koala adoptions. 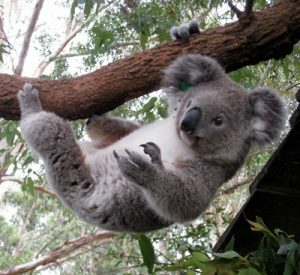 Donations over $2,000 can also be made to the Koala Hospital. All donations over this amount are recognised with a plaque in the entry of the Hospital and on an honour roll on the web site.